Although the times of having pen pals and hand written letters are long gone, I still like keeping stationery at home for whatever occasion may present itself. 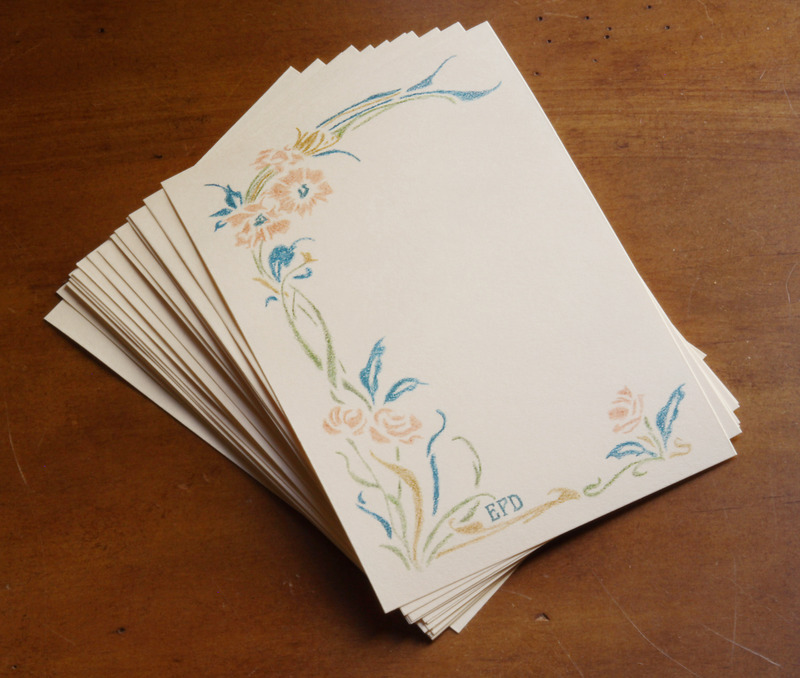 I have found many instances where I will hand write a card for a birthday or hostess gift, as a sweet thank you, or a ‘just because’ note to make a friend smile. Recently, I ran out of stationery cards and decided to design my own instead buying more. 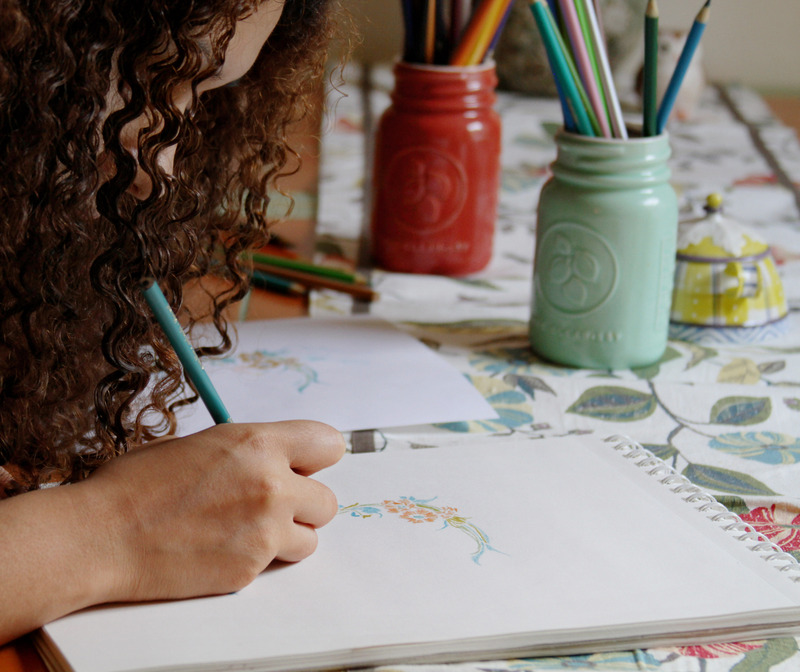 I wanted the stationery to have a hand made feel, so I used colored pencils to give the design a gentle texture. For inspiration I looked at several examples of Art Nouveau, and created a digital image as my master reference with a flowered border and monogram at the bottom. 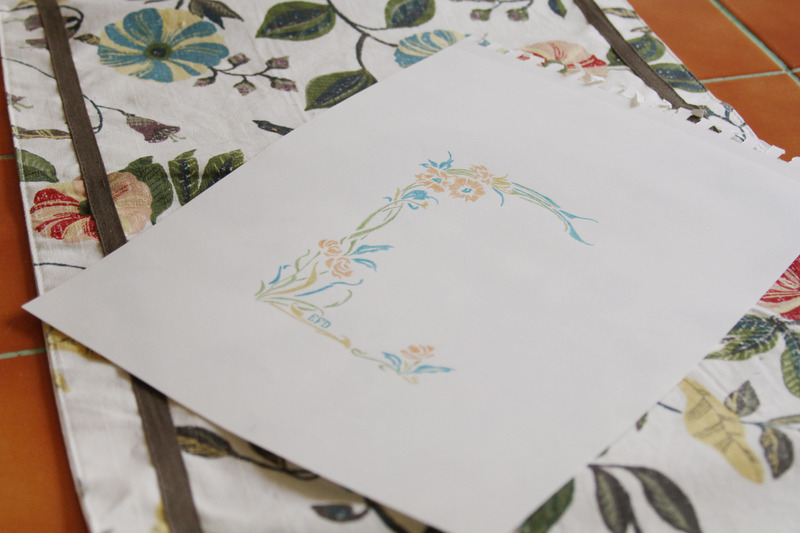 I then printed out the design and drew it onto a sketchbook, gently filling the shapes with colored pencils. The hand drawn paper was then scanned and cleaned up to create the final version for printing. I had a lot of fun with this project, love the outcome, and can see myself designing more personalized stationery in the future. 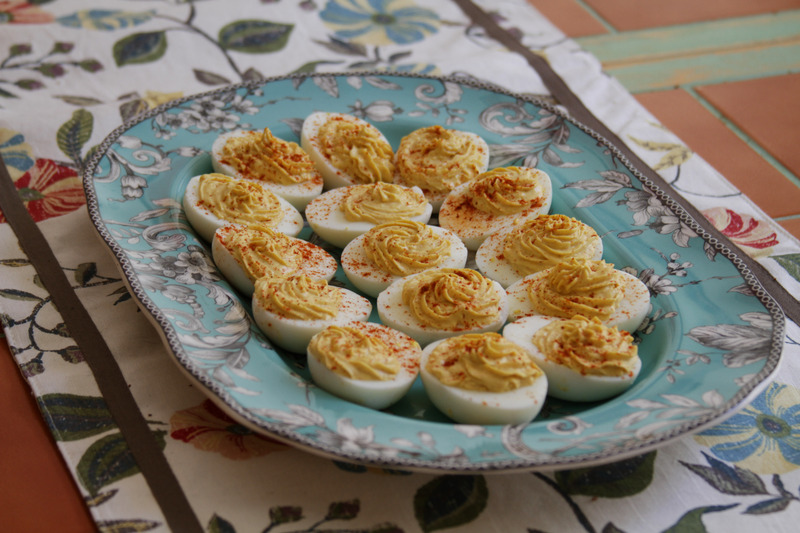 My deviled eggs are not actually famous, but they sure are popular among my friends and family! 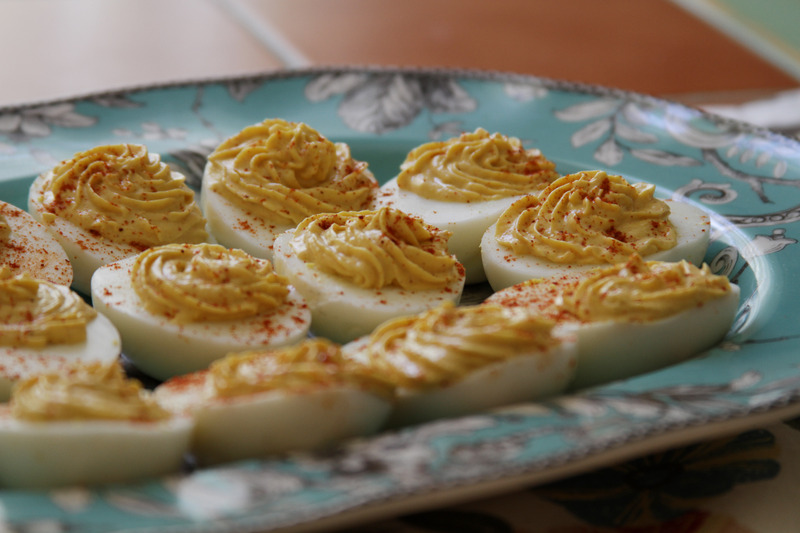 This is one of my staple recipes for casual hosting, or bringing to a social gathering. I follow a pretty traditional recipe, with just some minor tweaks. 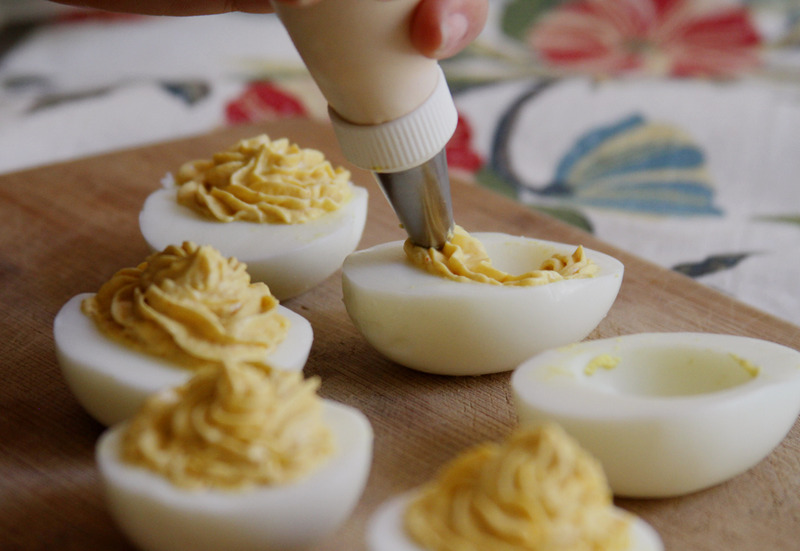 Ingredients: 1 dozen large eggs, 1/2 cup mayonnaise, 1 tablespoon yellow mustard, 1 tablespoon dijon mustard, 1 tablespoon spicy brown mustard, 1 teaspoon white vinegar, 1/2 teaspoon salt, 2 teaspoons smoked paprika. Instructions: bring a large pot of about 2 quarts of water with 1 tablespoon of salt to a roaring boil, add eggs and cook for about 20 minutes. Drain eggs and rinse under cold water. Peel eggs and cut in half length wise. Remove the yolks with a small spoon, place in a fine mesh colander, and push through with a spoon to get rid of lumps. Place yolks and remaining ingredients in a small bowl, mix to combine. Spoon the mixture into a piping bag with a star tip and pipe into eggs. Sprinkle with paprika and serve. 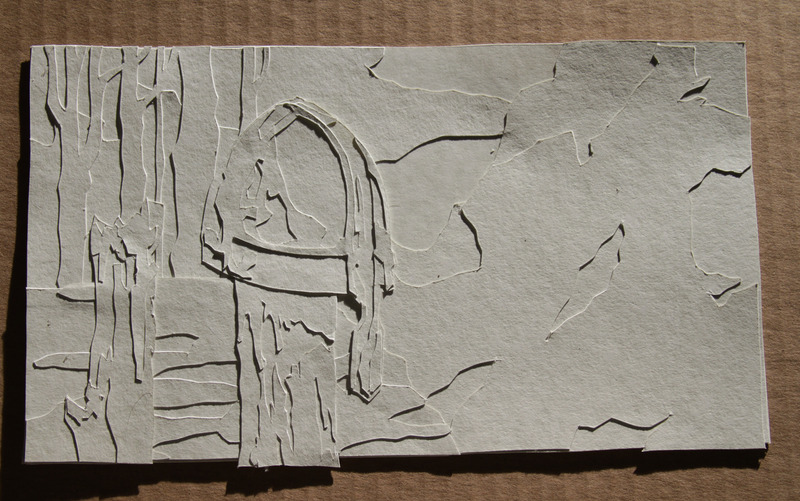 After months of work, we have completed our newest short film ‘The Seafarer and the Moonlight.’ The film is stop-motion animation done entirely with thousands of paper cutouts. All of the elements began with either digital paintings, or 3D animatics. 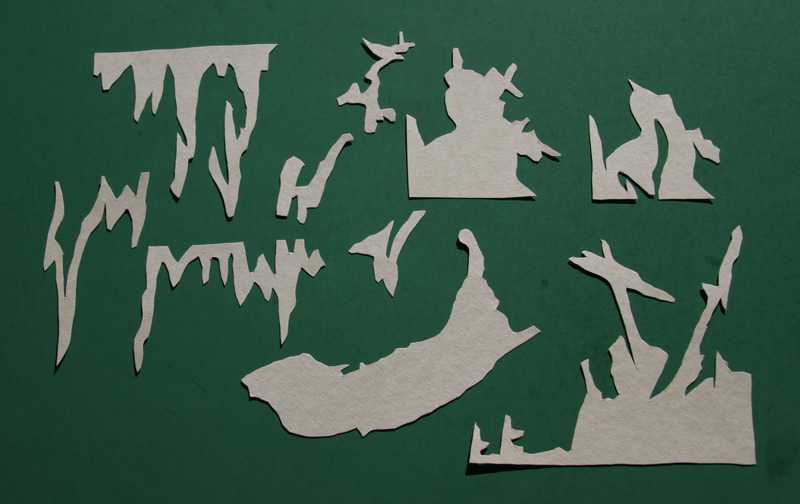 Each color layer was isolated and printed out so that we had a guide of exactly where to cut. This is a comparison of one of the digital images and the final shot. In many instances, they are almost exact. Although originally a Viking story, we changed it to Norman after visiting Normandie on our honeymoon. 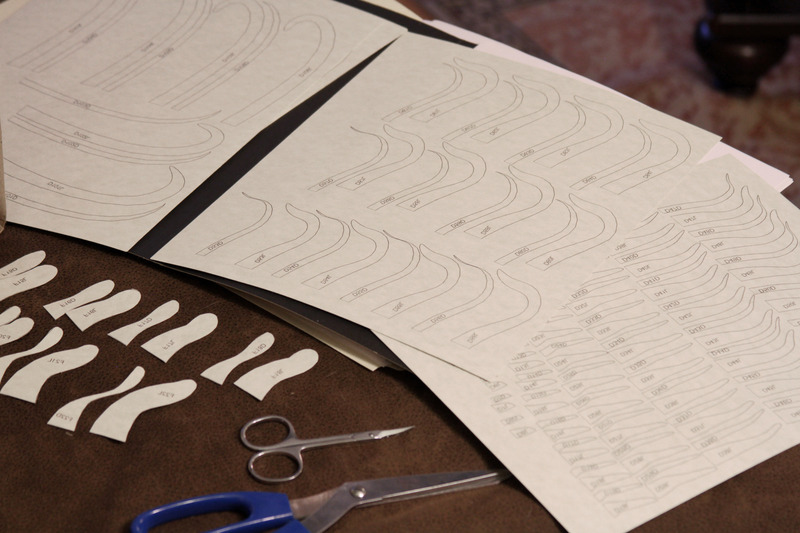 When we first started cutting, we were using the same knives that we used for our Christmas cards, but it was very strenuous on our hands, and we switched to very fine nail scissors. These sheets of paper waiting to be cut are for the tentacles of the Kraken rising out of the water. That shot required over 1,000 individual pieces of paper. All of the coloring was done digitally. Some of the backgrounds were glued together as one image like this one, but most of the shots had each piece shot separately on green. Here are layers of shipwrecks and underwater rock formations. 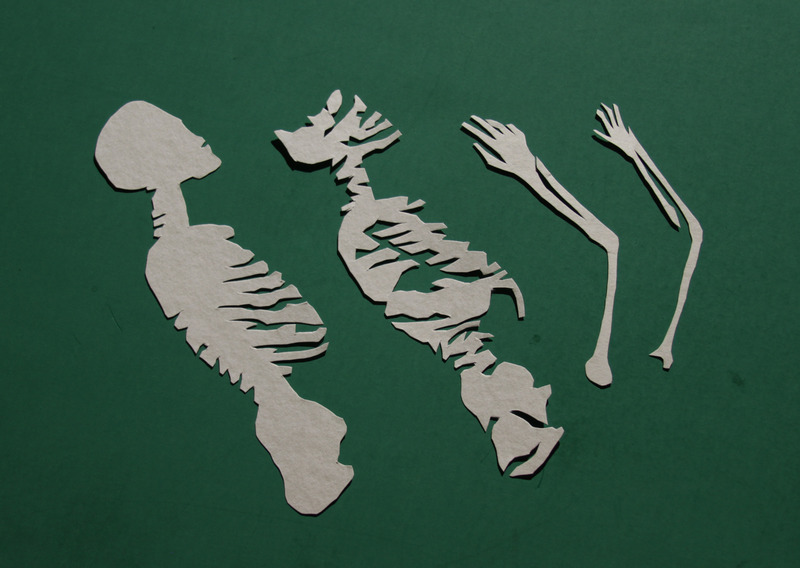 The skeletons had two layers, one for the highlights, and one for the shadows. 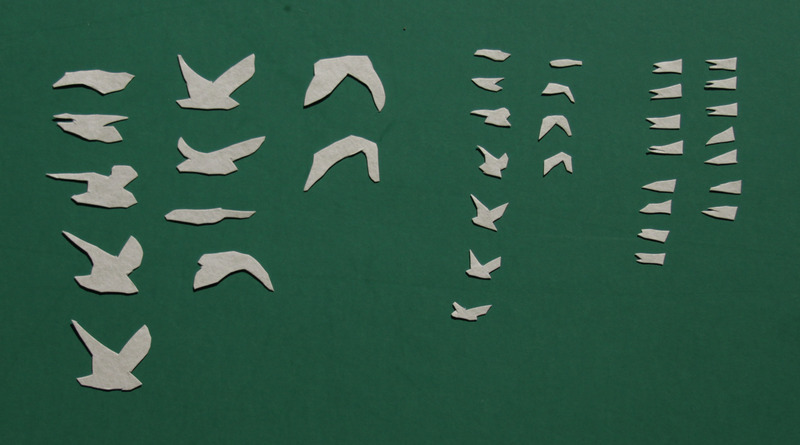 Some animated elements were tiny enough to be shot in the same image. This is a bird flying loop, then a smaller bird doing that same loop, and then a flag flapping in the wind. This was a completely new filmmaking experience for us. We have done stop-motion animation in the past, but the amount of manual labor involved with this project vastly exceeded that. It was a tremendous amount of work, but we’re very pleased with the end result. 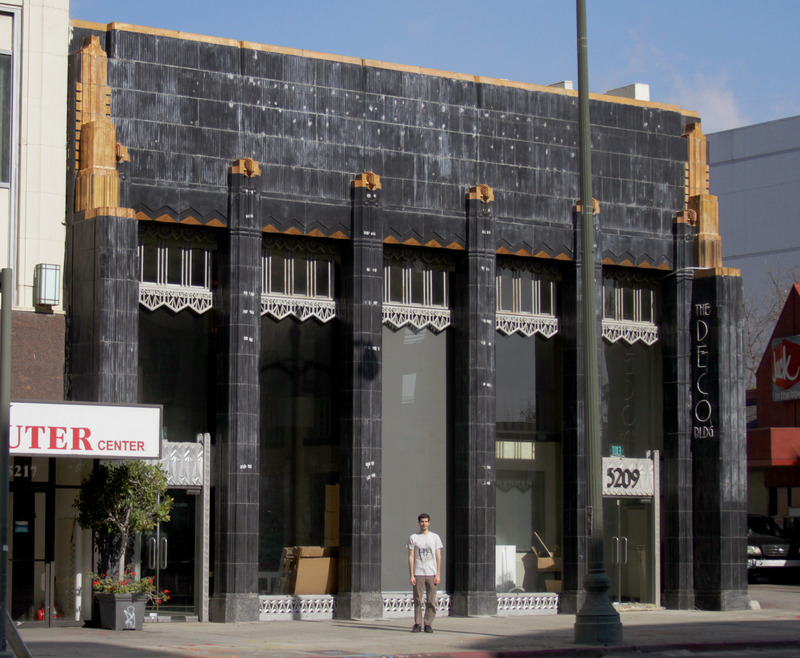 We are very fortunate to live in the beautiful Miracle Mile neighborhood in Los Angeles, and we frequently take the opportunity to walk along Wilshire Boulevard and admire the architecture. Here are a few of our favorite spots that we encounter as we stroll down nearby streets. Although it has been dwarfed by less interesting, taller structures, the tower and entrance to the former Desmond’s Department Store still impresses. 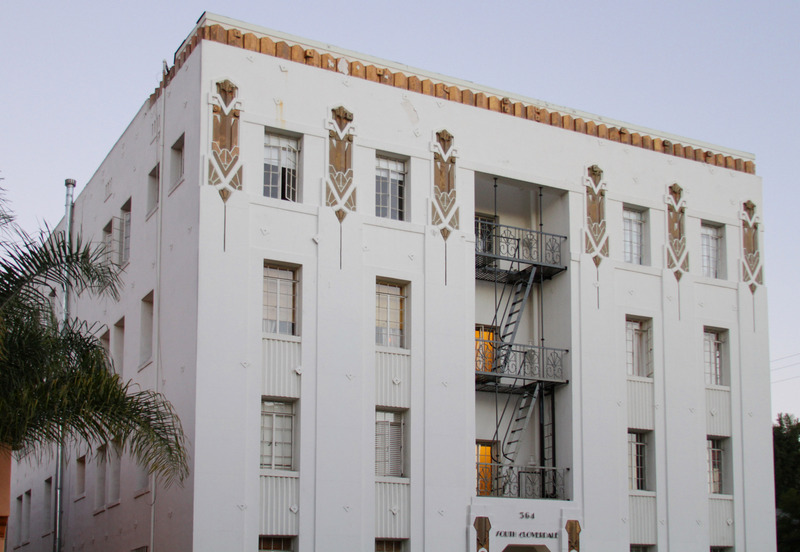 There are a lot of Art Deco and Streamline Moderne buildings that are still standing from when the area was developed in the 1920s and 1930s. This is sort of a miniature version of the demolished Richfield Oil Building, and was known to James while he was living in Florida as one of the buildings that was replicated at the Disney-MGM Studios. This was once a camera shop called The Darkroom, and luckily the camera has not been destroyed as other businesses have moved in and out. We have seen replicas of this building not only at the former Disney-MGM Studios, but also at Universal Studios Florida, and the Walt Disney Studios in Paris. 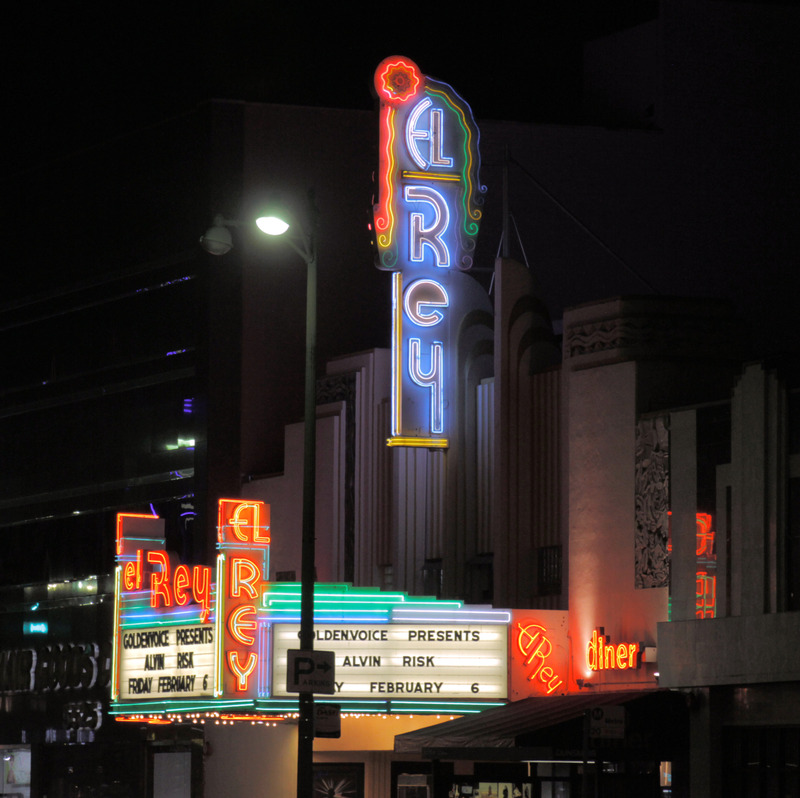 The El Rey Theater is no longer a cinema, but the original neon sign still lights up the night. While some businesses in the neighborhood have undermined the historic architecture in which they reside, others in the area feel right at home. 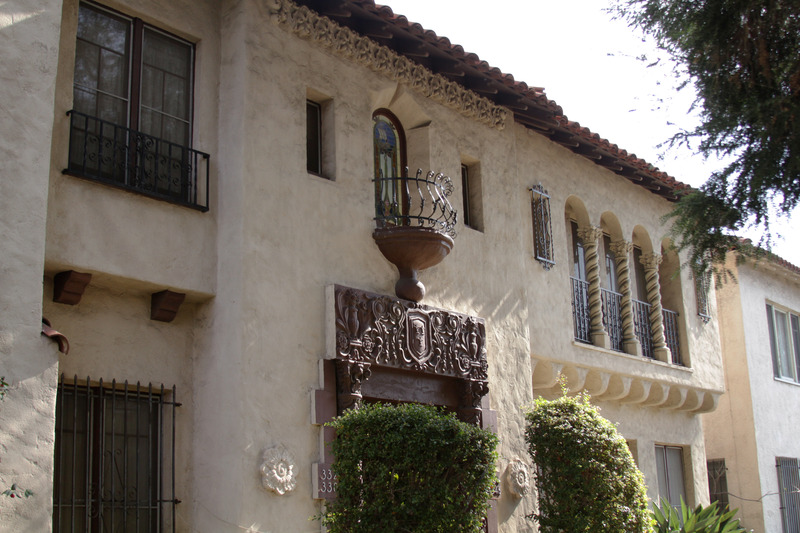 Moving just north of Wilshire, the apartment houses in the surrounding blocks have such wonderful charm. 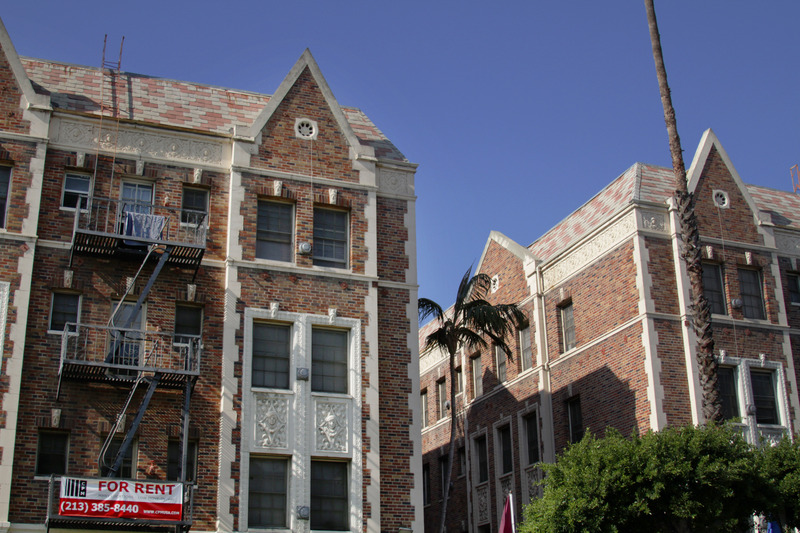 The majority of the apartments are done in Spanish Colonial Revival style, which is perfectly suited to the palm trees and sun of Los Angeles. There are also a number of French Eclectic buildings with interesting dormers and soft colors that juxtapose well with the Spanish Colonial designs. 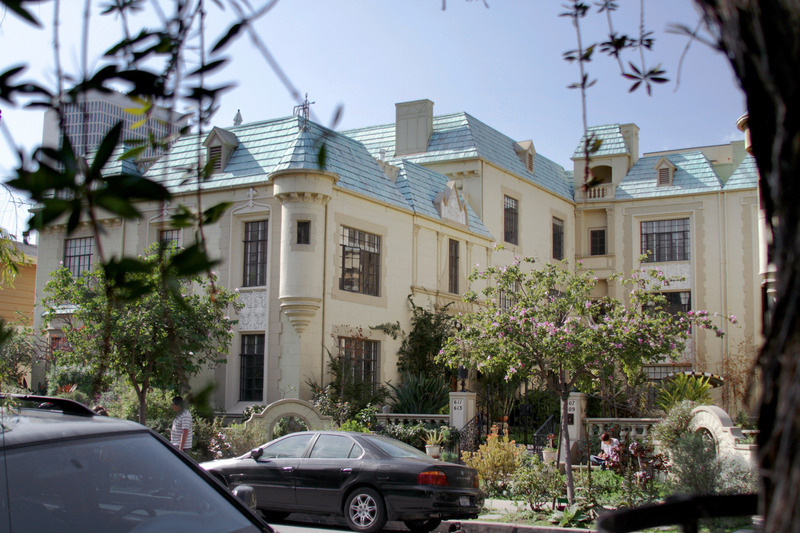 These Chateauesque roofs are more like what we saw on our vacations to France and Québec than what people would expect to see in a Los Angeles neighborhood. There are even a few Tudor Style houses and brick apartment buildings clad with fire escapes. We may not live in this neighborhood forever, but it makes the perfect setting for our first home together. I only hope that the area that we have a house in some day will be just as lovely. As I continue to try out new recipes to improve on my baking skills, I still find myself going back to my tried and true recipes. Sometimes I just crave the comfort of a familiar dish that I have made many times over the years, and there’s nothing wrong with that. 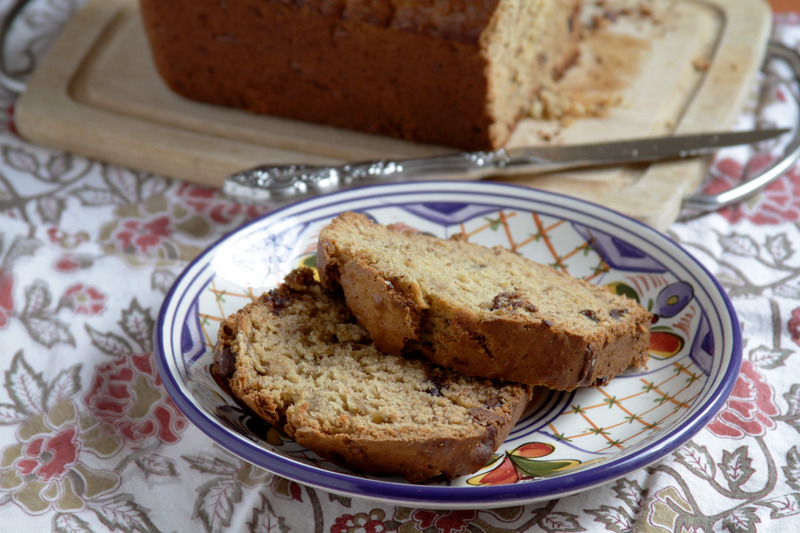 Banana bread is not only a stable recipe in our home, it is also a perfect treat when you want something just a tad sweet. Pre-heat oven to 350F. In a large bowl mix the flour, salt, cinnamon, and baking soda together. In a separate bowl mash the bananas and add brown sugar, honey, eggs, and butter. Mix thoroughly and then add the mixture to the dry ingredients. Add chocolate chips and walnuts then mix with a spoon until fully incorporated. Pour mixture into a greased bread pan and bake for 60 – 65 minutes. Stick a butter knife into bread loaf to ensure it comes out clean for thorough baking. Let cool for a few minutes before removing loaf from pan. Enjoy with hot coffee or a glass of milk.